As a home or business owner, you are going to have to locate an Eastover Landscaping Company and you have to know that you are getting the best of the best. So when quality matters, as it always should for your exterior home improvement project, you can count on the team here at Ground Pounders Landscaping to get the job done. For a decade now, we have been the name that has become synonymous with high quality workmanship and customer services, providing clients with the best looking yards that will make the neighborhood green with envy. We take great pride in the work that we do and it shows in the results that we get, for both our residential and commercial clients. When it comes to expertise in outdoor environment enhancement no one can provide you with the results that we do. We actively listen to your wants and needs and educate you on the options that you have available to you. 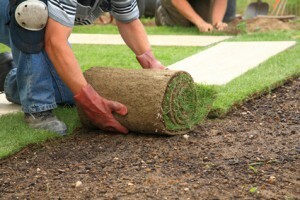 We can even assist you in making the perfect choices for the completed look of your new landscaping. Don’t just take our word for it; contact us right now to find out more. So what makes our services so much better than the competition? For one thing, it is a true comprehension of what it means to offer the best in customer care, as well as understanding what each client needs. From there, we are able to provide the best quality landscaping; exterior enhancements that you will truly love for years to come. So take this opportunity now to give us a call and let us show you all that we have to offer you. We combine the best of small, locally owned company with the same level of professionalism you could expect from a larger outfit. You should never have to settle for less than the best when it comes to the work that goes into your landscaping, including the landscape design and maintenance. We not only can design and install exactly what you want, we can help make sure that it is taken care of and looks amazing for years to come. So you will be glad to know that we offer a variety of other services as well, so that we will always be there when you need us the most. For example, we offer professional concrete services so that if you need a slab poured or decorative concrete to make your patio look stunning, we can take care of that as well. 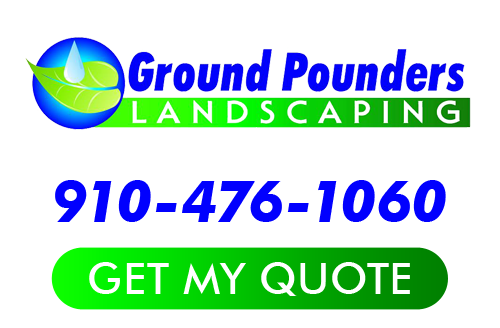 The only name that you need to know is Ground Pounders Landscaping when it comes to any and all of your Eastover landscaper services needs. If you are looking for an Eastover Landscaping Company then please call 910-476-1060 or complete our online request form.